A good knife – and knowing how to use it – can change your life in the kitchen. Without the right knife, simple tasks like slicing, dicing and chopping can become a time-consuming chore. 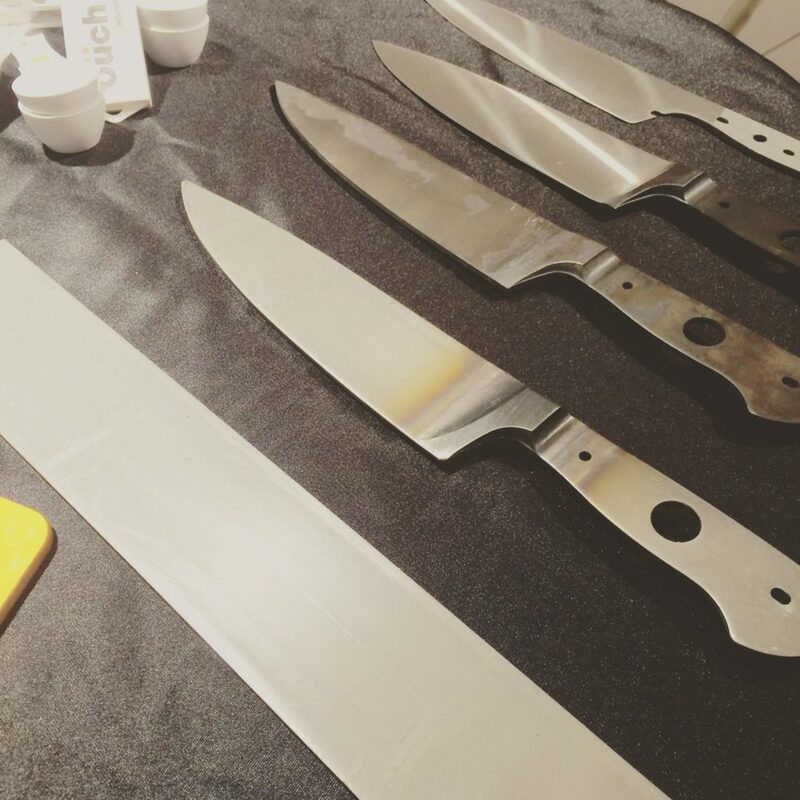 Here’s what you need to know to find your perfect knife. Buy the best knife you can afford. A top of the line chef’s knife can cost upwards of $100, but mid-range knives can work just as well. Don’t feel pressured to purchase an expensive set of knives. Most people end up using one or two while the rest gather dust. 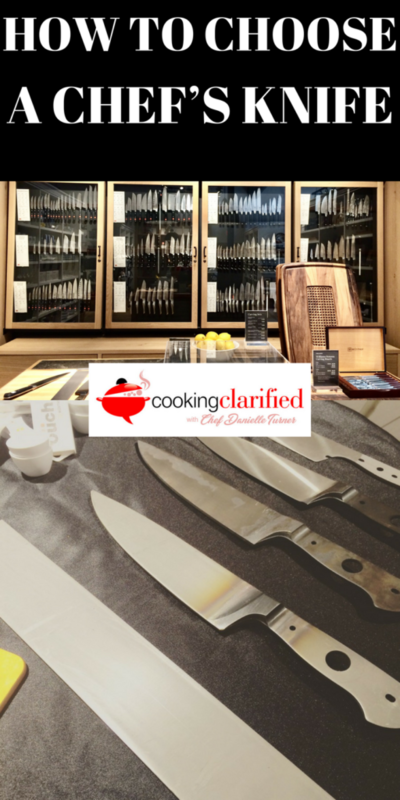 Start with a chef’s knife and add others to your collection as you need them. Make sure the blade of the knife extends the entire length of the knife, including through the handle. This is what’s called full tang. For maximum durability handles should be riveted through the steel, not glued on. Knives come in a variety of styles, blade lengths and weights. Don’t be afraid to cop a feel before you buy. Hold several knives and see what weight and blade length are most comfortable to you. Always use a plastic or wood cutting board. Cutting on surfaces that are slippery – like glass – or don’t give under the weight of your blade can damage your knife or your work surface and it could be dangerous. Hand washing is best for knives. Placing knives in the dishwasher can damage both your blade and dishwasher racks. Water pressure and being jostled against other items in the dishwasher can bend or damage the blade. Your knife can also cut or knick your dishwasher racks. A falling knife has no handle! If you drop your knife, don’t reach for it. There’s a good chance you’ll grab the sharp blade instead of the handle. Take a step back to protect your feet and wait for the knife to hit the floor before retrieving it. Try not to multitask while using your knife. You’re more likely to cut yourself if you’re distracted. Never drop your knife into a sink full of water. The next person may not know it’s there – and you may forget – which could lead to a nasty cut. Knowing how to choose a knife is a great first step in getting your sea legs in the kitchen. Here are a few more tips to get you started.